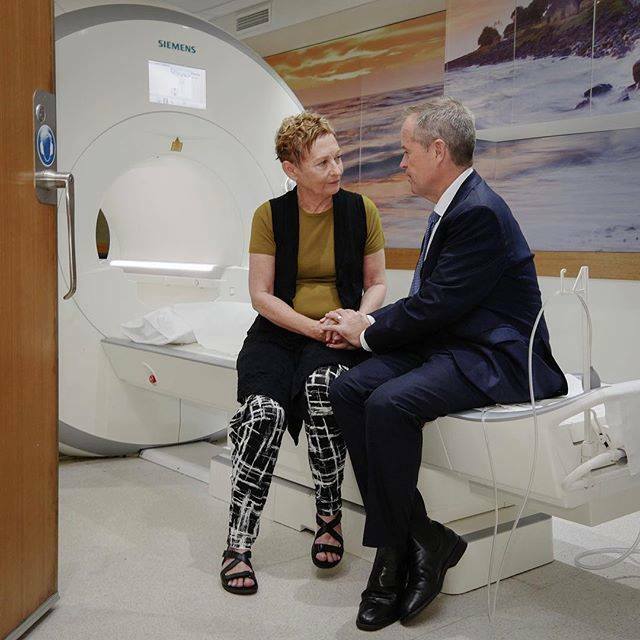 Leading diagnostic medical imaging firm Qscan Group has welcomed the commitment by federal Opposition Leader Bill Shorten to boost cancer care facilities in regional areas. Mr Shorten today visited the North Coast Radiology Clinic in Ballina, part of the Qscan Group, announcing a $63 million funding package for lung cancer which includes the establishment of 13 new regional radiation centres (including two servicing the NSW North Coast); increasing the number of lung cancer nurses across the country to 21; and a $40 million anti-tobacco campaign. Mr Shorten today announced that Labor will fund a $63 million package for lung cancer, including a new anti-tobacco campaign, 21 lung cancer nurses and 13 regional radiation centres. Mr Shorten last week pledged that the Labor Party will invest $2.3 billion in a Medicare Cancer Plan should Labor win the upcoming federal election, aiming to provide improved services for 145,000 Australians who are diagnosed with cancer every year. People living in regional areas frequently do not have easy access to cancer care facilities and experience the added burden of cost of travel and accommodation to the cost of treatment. As part of its cancer package, Labor has promised to provide up to six million new diagnostic imaging scans for patients across Australia in the first four years of a Labor government. Qscan Radiologist Dr Ian Cappe says Qscan’s focus is to take world-leading imaging technology and expertise closer to the patients who need it most. Dr Cappe says patients in remote areas, such as Ballina on the NSW Far North Coast, who have limited access to Medicare funded, specialist imaging services including PET-CT and MRI, need to travel to access these services. MRI and PET-CT scans are crucial to patients experiencing the ordeal of cancer. The Ballina region includes a very high proportion of workers on low incomes, disability support pensioners, single-parent families, people aged over 65 years, and a population of Aboriginal and Torres Strait Islanders that is almost twice as large as the national average. The cancer rate per 100,000 people is 41 per cent higher than the national average, reflecting higher rates of smoking, male and female obesity, infant and youth mortality and at-risk alcohol consumption. Qscan is currently rolling out PET-CT services across more than 10 sites throughout Australia as part of its national expansion. The services are critical for diagnosing and assessing many disorders, including cancer. Mr Shorten has said Labor will invest $600 million towards eliminating all the out-of-pocket costs for diagnostic imaging. Labor is promising six million free cancer scans over four years, funded by Medicare, including CT scans, PET scans, mammograms, x-rays and ultrasounds – services provided by Qscan nationally.